I/O, Son Of OVO, Another Tongue - the list of potential Peter Gabriel records is long, but Peter Gabriel got sidetracked again. His prediction in August 2002 that he would release a new album called I/O within eighteen months turned out to be wrong. Instead of I/O we now get Scratch My Back. Indeed, when plans change so fast one is tempted not to scratch others' backs but one's own head in confusion. 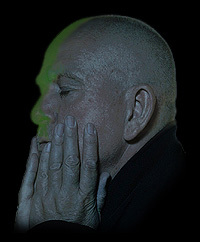 One cannot complain that Peter Gabriel does not put out enough material: Since 2003 he has released Growing Up Live (DVD), PLAY: The Videos (DVD), HIT (a best-of compilation on CD and 2CD), Still Growing Up Live (2DVD), played the Warm Up Tour in the summer of 2007, the Latin American Tour in 2009 – yes, there were lots of activities going on. What now? Gabriel had the idea to cover or rather interpret other people's songs – if they covers one of his in turn. But Gabriel were not Gabriel if that was enough for him. He added a special challenge: no drums, no guitars, only his voice and an orchestra. The working title for this project has been known for quite some time: Scratch My Back, I'll Scratch Yours. Gabriel covers twelve songs by other artists and bands, and these in turn cover a Gabriel song. The shortlist consisted of around a hundred songs, and it may be assumed that the final dozen were chosen because these artists have agreed to definitely cover gabriel. Randy Newman, Elbow and Tom Yorke of Radiohead have confirmed this recently in public. Scratch My Back is released on CD and 2CD; the latter set has four bonus tracks. There will be a double LP set and an iTunes LP with the same content as the 2CD set. More about the formats on our overview page. No band, „just“ an orchestra – it is obvious that Gabriel could not cope with this task on his own. John Metcalfe assisted Peter and worked out the arrangements for the orchestra. Bob Ezrin, who is also known for his work with Pink Floyd, was pulled in as a kind of consultant. Gabriel had presented excerpts from the songs in three podcasts and added some explanations. This triggered lively discussions, and opinions differ very much. Gabriel's Scratch My Back meets furious debates, it prompts excitement, indifference, confusion, respect. We have decided to let three people have their say in this review. The main author Christian Gerhardts (CG) is not left alone; two co-authors, Martin Klinkhardt (MK) and Steffen Gerlach (SG) provide their opinions about every song. All three of them offer their entirely subjective views on the songs – the rest, as Peter Gabriel is fond of saying, is up to you! David Bowie has long since turned into a legend in music. One of his biggest commercial and artistic successes is "Heroes",which came out on the eponymous album in 1977.
description: A clear statement at the beginning of the album. The originals are not merely translated into classical music. Gabriel does not regard the original presentation of the song – or only inasmuch as he simply does not do it like that. Cutting the first two verses from the song was a good idea as it preserves the drama (and you would hardly notice it). The guitar waves from the original are replaced with long violin sounds. These „Heroes“ are decelerated, reduced to the basic vocal melody – and what vocals are these: quiet, brittle, stretched out. Gabriel's voice creeps along that thin line beyond which it would immediately break. The violins slowly take up the wavy tune, grow in a crescendo towards the big „I can remember standing by the wall“ – and not even here does Peter use the big voice (as on, say, Signal To Noise). Whether this is intentional or an indication that his voice is declining is an interesting question for which the live shows will certainly have an answer. CG: It was one of the highlights of the teaser podcasts. The fragile voice, the sombre mood, the sparse arrangement – Gabriel conjures up a depressive mood while his voice becomes as intimate as never before. But the voice is also the weakness of the song. It does not – or cannot – follow its drama. When the song begins to climb to the peak Gabriel's voice remains in the valley. This is either intentional – then it is bad or wrong or well-staged – or he cannot do it anymore – then it is regrettable. „Heroes“ does not tap its full potential. SG: It would be silly to expect a 1:1 cover from Gabriel. With an orchestra and without a band you are of course not really tempted to do that. What are the options with a guitar driven rock song like Bowie's „Heroes“? Gabriel utilizes the potential of the lyrics that offer more tragic and desperation than appear in the original. The fragile vocals, unheard-of from Gabriel, and the sparse, occasionally monotonous violins lend the song an air of hopelessness. The original of The Boy In The Bubble was released by Paul Simon on his album Graceland. CG: Paul Simon's album Graceland is a classic of the 80s. The Boy In The Bubble is well-known and has been covered before, e.g. by Patty Smith. With an orchestra Gabriel can only move away from the original, and so he does. The funky opening song of Graceland turns into a sombre ballad that is almost too slow. It is quite pleasant, but I think he has missed an opportunity here. Fourty musicians in an orchestra can produce interesting soundscapes. In The Boy In The Bubble they only accompany a Gabriel who wants to tell the same story with the same words in a different way. This could have been better. MK: When the words „these are the days of...“ occur in a song you can bet it is a disillusioned one. Gentle piano and warm cello sounds set Gabriel's voice of very well. He sings this song almost like a lullaby. I like the arrangement very much. SG: Gabriel steps on the brake here. Where the original had a bouncy beat and harmonies in major Gabriel's version has quiet piano arpeggios in minor plus violin and clarinet. And the irony from the original has turned into pathetic commiseration. In 2002 Elbow remixed More Than This by Peter Gabriel. In 2008 they published a song called Mirrorball on their album The Seldom Seen Kid. description: In the first couple of seconds the violins sound like Styx's Mr Roboto, a bit synthetic and a bit like science fiction. Celli come in in the middle of the first verse and add body to the sound. But then it's: Full stop, and build it up again for the second verse. The brass section slides closer in the background before the violins begin to sparkle like a mirrorball and work their magic on the sound. Both vocals and instruments want to take off and fly – but again there is a heartbeat of silence before the arrangement builds up again in yet another different way. And now they are all allowed to float, they slide joyfully through the air right up to the abrupt ending (but that's okay, a fadeout would not have worked on this song). CG: Mirrorball is the first song on the album where the arrangement and the vocals are a perfect match. The song itself was not really the best choice, other Elbow songs might have been better. But the concept of Scratch My Back really unfolds well on this song – and Gabriel's voice sounds much better than on the first two songs. MK: I wondered if this was Mr Roboto by Styx during the first seconds. Peculiar melody, now louder, now quiet. Gabriel's voice blends into the exciting orchestra arrangement, which is unwonted because usually the vocals stand above the instruments in pop/rock music. The finale reminds me a bit of Signal To Noise. SG: Elbow's original had strings. Gabriel adds more of them. And brass. And not only semi-quavers but also quavers, quaver triplets, semi-quaver triplets and more … one kind on top of the other. That is to say: Good work from the arranger. I prefer the original, though. Bon Iver is a band project run by singer Justin Vernon. Their only album so far, For Emma, Forever Ago came out in 2008 and had the song Flume on it. description: Flume begins a bit like The Drop or Here Comes The Flood – when the violins come in for the chorus they resemble Sky Blue. Gabriel's gentle vocals make the wonderful melody stand out; the orchestra can be heard mainly in the chorus. CG: When it became clear which songs Gabriel would cover many fans, myself included, tried to get hold of the originals. Flume was one of the best songs from the dozen. Gabriel's version puts the voice in front – and here, at the latest, it becomes clear that this is his intention. The orchestra remains in the background and only moves forwards when it serves the overall atmosphere without „undermining“ the voice. Great! The Talking Heads released a song called Listening Wind on their album Remain In Light. description: Disparate cello notes and pizzicato bass become both the rhythm and the underlying melody of Listening Wind. 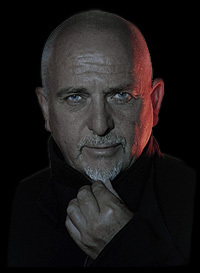 The central melody, however, lies decidedly within Peter Gabriel's voice. The violins assemble in the background, they grow ever more, ever stronger – just like a gentle breeze turns into a violent storm that (fortunately) calms down again in the end. The title brings a movie to memory: Wind Talkers was the name the Navajo Indians who worked as radio operators in WWII gave themselves. The war image is actually quite correct but it is another war and the roles are changed. Mojique is, in a way, the militant version of the indigenous person in San Jacinto. CG: I did not like the original at all, but then I have never been into The Talking Heads. Gabriel manages to set a big highlight here, perhaps mainly because finally something happens musically. I am a big fan of drum sounds and rhythms so that Scratch My Back is more or less inaccessible to me (at least as a complete body of music). Listening Wind speeds up the album. Gabriel shifts three gears up, and that is fantastic! MK: Great arrangement! It does without the violin blanket. Listening Wind has a much stronger rhythm than the previous songs, and you can really appreciate all the instruments. Almost a pop song. SG: So you can groove with an orchestra. Ever-increasing numbers of violin bits pile on top of each other and thus create a pleasant crescendo that culminates in the chorus in which Peter sings his own backing vocals. Incidentally, the chorus reminds me of a Ray Wilson song. description: It is once more the piano that kicks of this song. The big question is how do you keep up the tension for almost six minutes? Gabriel's solution consists of dark notes couples with vocals that are spoken or whispered rather than sung. The voice is clearer and there are more musical accents, when the song waxes lyrical about the power of the heart. The whole thing is repeated several times, and around the fourth verse one realizes how absolutely pivotal the voice is. A neutral description is rather difficult when just writing these lines sends shivers down the reviewer's spine. CG: I had to listen to the album just once to be sure: The Power Of The Heart is the highpoint of the album – it does not get any better. The song is terrific – one from the category of „whatever Peter does with it, it cannot be bad.“ This is pure Peter in all his (im)perfection – and that need not be contradictory. Cold shivers run down ones spine, particularly in verses three and four. The orchestra? Does what it has to do, which is to let the voice unfold. The voice: is occasionally sprechgesang, but it's what makes this song unique. Top notch! Peter Gabriel got interested in the band Arcade Fire a couple of years ago. Their album Neon Bible contains the song My Body Is A Cage. description: Warm piano chords beat the rhythm. Dark brass comes in and prepares the verse. So far so quiet and regular. But the arrangement of this song is like a good horror film: Everything seems to be perfectly normal, but in the corner of your eyes something disturbings mars the acoustic image: a whimpering violin, a surprising piano chord consisting of very high and very low notes, a bass/cello vibrato... the monster is closing in. When it turns around the corner it seems (cf. Darkness) like a loud and strong march played by the strings, but not really threatening. The chords change, though, they get distorted, the monster reveal itself amongst alluring flutes; while Gabriel's voice steps down into the tomb, the rhythms dance increasingly wilder around the listener, suddenly stop (with the exception of a clarinet) and move into the finale that sounds as big as it should. When it ends Gabriel sings on unmovedly – or so it seems, for the vocals become ever more pleading. A female voice sings the heavenly choirs, and the rhythm of the song stops beating with a last plea. CG:My Body Is A Cage is a change for the album. The song ignores structures and revels in changes. Gabriel sings great and the orchestra shows its strength. Another highlight! MK: A song for the early morning trip to work: Stop and go and stop and go, and when the musical road is finally free, as it were, you wonder where the orchestra got to. It actually sounds great once it comes in. SG: Arcade Fire's original is already quite dramatic. Gabriel makes full use of the sound the orchestra can offer – for the only time on Scratch My Back. The dynamics are breathtaking, when the sound becomes bigger and bigger and completely drowns you after a moment of unexspected quiet. The highlight of the album. DIn 1999 The Magnetic Fields, led by Stephin Merritt, released an album called 69 Lovesongs. One of these songs (69 of them, indeed!) is The Book of Love. description: We do not need to write much about the song, it is arranged pretty much the same way as in the Shall We Dance soundtrack. Gabriel’s voice is less fluent, but this time Melanie sings with him. The arrangement is compact and the song itself slightly longer. It focuses on the perfect collaboration of strings and vocals. CG: The trouble with this song is that a Scratch My Back-style version has been around ever since Gabriel released it on the Shall We Dance soundtrack. The new version has a couple of extra bits in the arrangement, additional vocals by Melanie and a new vocal melody by Peter. He does not sing as smoothly as on the other version; his voice sounds weaker, more brittle. Yet again I wonder whether he cannot sing it any better (anymore). MK: iThis song is a wonderful declaration of love. It is also a duet. It would be the most romantic song on the album (next to The Power Of The Heart) if the lyrics could refrain from the occasional irony. The final verse makes up for it, though. If The Power Of The Heart is too romantic for you then have someone read or sing you The Book Of Love. SG: Do I like Peter’s version because it has been around for a couple of years? Or it is because the schmaltzy version fits the song better than the unfeeling original? Whatever it is, this one is perfect. Randy Newman is not exactly known as the clown in the business, but rather as a pure cynic. I Think It's Going To Rain Today came out on Randy Newman’s self-titled album of 1968.
description: If this song had replaced The Drop on UP some people would have been surprised that Peter Gabriel released a cover on one of his regular studio albums. However, most would have been astonished to find out that I Think It’s Going To Rain Today is a cover at all. The Drop, (the quiet version of) Here Comes The Flood and this song sound like very close siblings, partially because of the sparse arrangement. Only a piano accompanies Peter’s warm murmuring voice with a few soft chords. Gabriel’s pronunciation of the final “today” is peculiar – does his voice break off into a laughter? a sob? Or does he switch from singing to speaking for this one word to bring the song to a halt? CG: This interpretation is as close to The Power Of The Heart as it could not be any more different. Both songs are almost made for Peter, and he used his talent for a production that reveals its quality only after you have listened to it a couple of times. Great song! MK: The first song on the album that addresses the disappointing side of friendship. It is quiet, introspective and lonely, just Gabriel and a piano. And I think it’s going to rain in someone’s heart. SG: Most interesting! Newman’s original is stripped down already to piano and violins, but Gabriel goes even further and leaves out the strings. Et viola: This piano number could well be an original Gabriel song. Lovely! Regina Spektor’s 2006 album Begin To Hope received many favourable reviews; one song on the album is called Après Moi. description: If you are not into classical music the loud beginning must be a nightmare. It is the only song on the album that knocks you over this way. It then evolves into an unruly sequence of elements that focus either on classical music or on vocals. The songs builds up and falls apart at the end – how else could a song end where the final words are “after me the flood”? CG: It is weird how you hear a song, are at a loss about what to do with it – and still know right away that you have to listen to this song again. Après Moi is one of these songs for me. I had to listen to this piece many times before I came to appreciate the intensity of the song. In the end I must say this is one of the highlights! MK: Jubilant brass that could be in a mass by J.S. Bach and playful string ensembles lead into this song, but move far into the background as the vocals come in. The arrangement has bits of baroque recitatives, perhaps the Crucifixus from the Mass in B Minor. Gabrielese shouts in the middle bring back the orchestra in a very enjoyable way. SG: What a mighty intro! Regina Spektor, the only female artist Gabriel covered on this album, will be pleased at that. The song itself loses the interesting 6/8 feeling and seems a lot more languid than the original, but the orchestra arrangement is very dynamic with all its many layers. Well done! 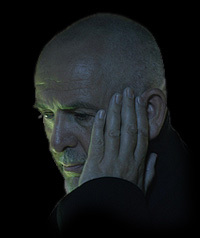 Peter Gabriel wrote Lovetown for Philadelphia. The best song on that soundtrack was probably Neil Young’s Philadelphia, though. description: Strings and a muted brass group swap lead roles in this song. The introduction and the instrumental are mainly played be the string ensemble while the brass section provides an acoustic mourning band for the verses. Gabriel’s vocals are livelier on this song, but there is a certain farewell note in his voice. The arrangement is very accomplished – the exchange between string and brass groups works very well in this song. Note how the trumpet (or is it a bugle?) shines next to Peter’s voice and brings the music very efficiently into the area where orchestral movie soundtracks, musical scores and baroque requiems come together. MK: This sounds like one of the quieter songs from a musical. One of the catchiest songs on the album. SG: Neil Young’s original is a wonderful song, and stays wonderful after Gabriel has reworked it. He leaves out the piano from the original and uses heart-warming string and brass arrangements instead. The imperfect falsetto vocals do not disturb the overall effect at all – provided you do not take issue with Young’s mediocre vocal capabilities either. Radiohead were an innovative band in the 90s. Critics complained that they became increasingly irrelevant after OK Computer. Street Spirit (Fade Out) appeared before OK Computer on The Bends, though. CG: It is a pity that the weakest song by far is placed at the end of an interesting album. Depth, surprises, great vocals – all these cannot be found here. The underlying problem may be the choice of song; it is not really the best Radiohead song, not even a mediocre one if you ask me. Pity. MK: If you expected a brief fade out you are facing a five minute song. Piano, strings and Gabriel have a contest who can make themselves known the quietest. Gabriel wins. A piece like a protracted diminuendo. A fade-out after all. SG: As if Radiohead’s original were not depressive enough! Peter adds to it by slowing the song down and trying to sound even gloomier and tearier. Scarce piano and string cues add their bit, too. Perhaps this is the only way to go with a Radiohead number, but no shivers down the spine here. 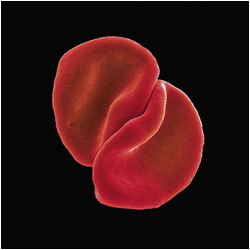 There is a parallel to UP: Peter Gabriel has made an album that is not easy-listening. Opinions about it will be divided. Scratch My Back is an album that takes time to make up your mind about – regardless of what your verdict will be. Several songs are very demanding for “normal” rock music fans. If you do not try hard to wrap your head around this album you will be disappointed. If you expected drums, bass and guitars you will be disappointed, too. Working your way through a whole album full of orchestral arrangements is a big challenge. It is nothing for the commuter’s iPod or the trip to the fitness studio. It is a couch album, a headphone album. Turn off, tune in, let the music happen to you. The weaker points of the album are easy to spot: Gabriel’s voice is not always up there. Regardless of whether he wanted it to sound like this or could not do it any better anymore, it leaves a peculiar feeling. On the other hand there are fantastic moments that are proud items in Gabriel’s catalogue. The album has a clear concept, and Gabriel pulls it off. We are looking forward to the live performances. 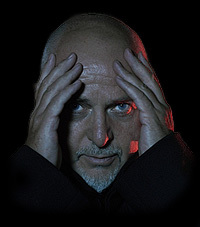 One big question remains in the end: Why does Peter Gabriel release an album full of songs by other artists and without his band when he has a huge pile of (nearly) finished own songs lying around? The answer is simply this: He takes the artistic liberty to do what seems most interesting to him. A ‘real’ new album would have different consequences than this project, and it seems Peter felt not up to that yet. Scratch My Back thus shortens the wait for I/O (or whatever that album will be called in the end), just like OVO shortened the wait for Up.